American singer and folklorist Paul Clayton (1931–1967) became interested in ballads by hearing his grandparents and other relatives sing them. In college he went on folk song collecting expeditions, traveling throughout the United States as well as Great Britain and Western Europe, where he learned songs from field recordings and directly from singers. His additional research into BBC recordings and the collection of British broadsides at the Newberry Library in Chicago resulted in this album. 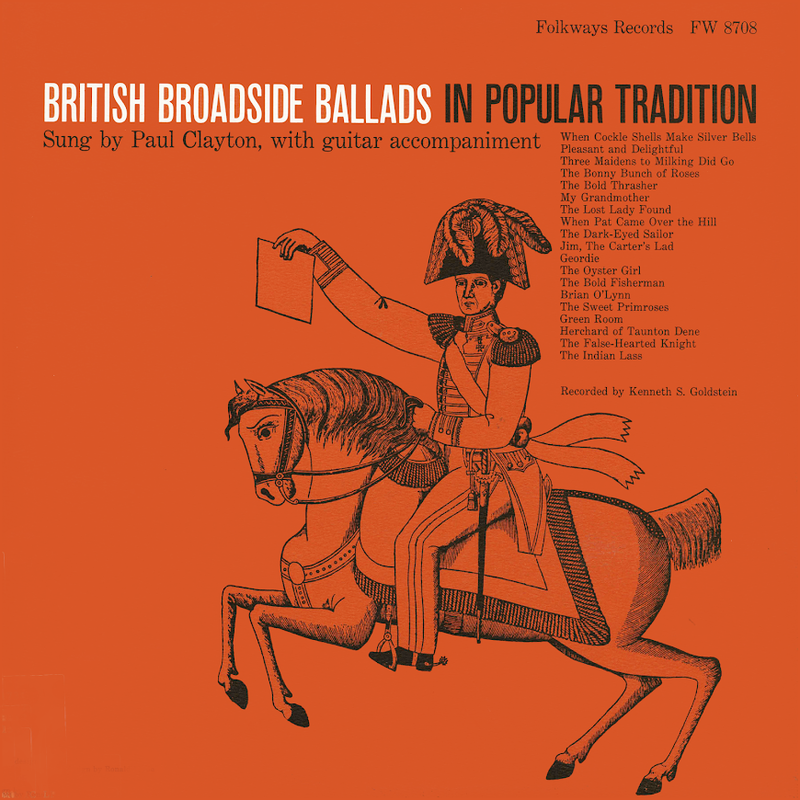 Sung with guitar accompaniment, the recording contains 19 ballads which Clayton believed were representative of the vast amount of broadside material still found in oral tradition in 1957. Liner notes include broadside lyrics alongside the traditional texts, to show the changes that have occured.